VAVi is a sport and social club that sets up sports leagues for adults in the San Diego area. In addition to sports, we also offer post game happy hours for each sport and a large New Year’s Eve party, weekend vacations (Mammoth + more) and volunteer opportunities throughout San Diego. It’s FREE.99! Click here to become a member now and get updates on upcoming leagues and events! To participate in any sports league/class, you must be at least 20 years old (exception: to participate in a Miller Lite sponsored league you must be at least 21 years old). To attend our social events, you must be at least 21 years old. VAVi advertises its sports based on a number of skill levels. Play at whatever level is comfortable for you, but remember, it’s all for fun!! This is a general classification and may vary depending on the league. Varsity – For the player/team with knowledge of sport and average or mid-level ability. The goal of this level is to have fun but in a competitive environment. Allstar – For players who have college level experience or higher. Full Team – Team captains will pay a one time registration fee guaranteeing their spot in the league. During registration the captain will create a password for their team. Each team member then needs to register themselves onto the team using the password created by the captain. Small Group – This option is for groups of two people or more. The first person who registers will create a small group name. Each person following will register referencing the small group name as well as the name of the person who started the small group. This registration option does not guarantee placement. Free Agents – This option is for players who do not know other people in the league or want to be placed randomly onto a team. This registration option can be changed into a small group registration at any time.This registration option does not guarantee placement. I DON’T KNOW ANYONE, HOW CAN I GET ON A TEAM? VAVi specializes in finding teams for individuals. Just sign up as Free Agent and we’ll work to find a spot for you either on an existing team or if we have enough individuals, we’ll make a new team. Many of our long time players started out in VAVi as Free Agents placed on teams. As a Free Agent, we’ll contact you via email 3-4 days before the league starts with your team information and other details. 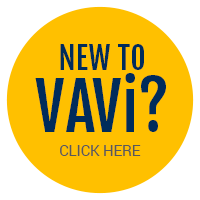 VAVi places, to the best of its ability, individuals on a “first come, first serve” basis. We are not always able to place all individuals. Individuals will be be provided a refund if we are unable to place you on a team. In coed leagues, a guy has a MUCH better chance of finding a team if signing up in a Small Group with a female. Please see below for all registration types. Small Group – I want to be placed on a team with one or more friends or I have a full team but I do not want to pay for everyone. Please not that there is a minimum number of players required to become a team and each league will have a deadline for having all players registered. Please contact customerservice@govavi.com for more info. Team – I have a full team and I will pay the entire fee. We do our best to place everyone on a team. In the event that we are unable to place you, we will give you the options of transferring to another league, a VAVi credit toward a future league or a full refund. Sign up deadlines are usually 7 days prior to the start date of a league. This may vary due to how quickly the league is filling. Please note that many leagues sell out well in advance so make sure to sign up early. HOW DO I EDIT MY ROSTER / ADD PLAYERS TO MY TEAM? ​Team captains do not need each person’s information. Each member of the team will register themselves onto the team roster using the team password set up by the captain. Small group members will just need the name of the small group and name of person who created the group. Expect to receive your roster assignment via League Information + Schedule email 3 days prior to the start of your league. Participants play with VAVi at their own risk. Athletic endeavors can be inherently dangerous. VAVi does not provide health insurance to any players and does not refund players’ fees if they are injured – nor are refunds given if you move, schedule changes, don’t like your team, etc…sorry! Players should know the risks and think twice about playing if they do not have health insurance coverage. Do not assume the games are cancelled if it is raining where you are. Call the VAVi weather/emergency line at 858-220-8328 and listen to the vm message to see if your game is rained out. We try our best to get games in and may wait until closer to game time to cancel a game. Please remember, sometimes game cancellation is out of our control. We use a number of city fields where the city will close the field due to the weather, even though you may think it is playable. If games are rained out, we will email the league and call/text team captains. WHAT HAPPENS AFTER I REGISTER? WHEN WILL I KNOW ABOUT MY SCHEDULE? ​You will receive a confirmation email shortly after registering. About 3 days before the start of the league, you will receive a League Information + Schedule email. If you have any questions in the meantime, you can call (858) 273-3485 ext. 10 or email our League Communication & Sports Coordinator. Should there be any questions or concerns over the course of the league, it is the team captain’s responsibility to contact VAVi. ​For all of our leagues we promote a sponsor bar. This is a place for all teams to go and get food or drink specials at a great bar close to the facility. In many of our leagues, the winning team will receive a pitcher for a penny. Check the description for your league to see your specific sponsor bar and the specials they offer. We are open Monday through Friday from 9:00am-5:00pm. IF I SIGN UP AS A FREE AGENT OR SMALL GROUP AM I GUARANTEED TO GET ON A TEAM? No. But we will do our very best and if we can’t, we will issue you a full refund. Due to the large number of males that sign up, free agent females and small groups with females in them have a better chance of getting placed on a team. Most of our leagues run between 45 minutes to one hour. We list a window of time that each league runs for, and you will within that time frame. Your game times will rotate each week throughout the season. Games for timed sports (soccer, basketball, football) can be either 20, 22, or 25 minute halves depending on the league/sport. Consult our office for league specifics. WHAT IF I DON’T HAVE ALL MY TEAMMATES’ INFORMATION? ​In order to register, we only initially need the captain’s information. In the confirmation email there will be a link to have players add themselves to the online roster and also to create a profile on our website. Make sure everyone that is on your team fills out completely and signs the waiver form prior to your first game. HOW DO WE GET OUR T-SHIRTS? ​Your team shirts will be delivered by a VAVi representative at the first game of the league. Have a bye the first week? We will have your shirts for you at your first game. WHAT IF MY TEAM HAS MORE THEN THE MAX CAPACITY?